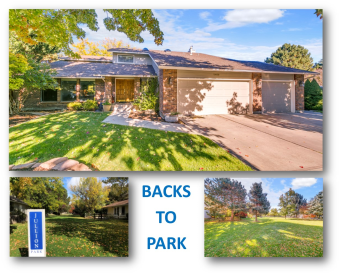 Sold -- 10058 W Ironclad Ct.
Home backs to Jullian Park, sits on cul-de-sac, mature trees, garden space & remodeled in-ground pool w/cover in private fenced area w/extensive patio, fire pit & shade area! Fantastic kitchen w/extensive counter & cabinet space, ss appliances, granite tile & deep pantry. Separate liv, fam & rec rooms! 2 fireplaces, hardwood floors, ceiling fans, huge master & more! Potential multi-generational living w/bed/bath & rec rm down. Storage in utility, basement & above garage. Newer ext paint & more! $50 annual Hoa!